Bela Lugosi appeared in five films in 1942, two for Universal and three for Monogram. He receives top billing in Night Monster (the only other Universal film to give him that was Dracula in 1931), but is totally wasted, in a small role as a butler. The movie has a larger role, perfect for him (an eastern mystic of ominous intents), played by an actor who seems bored with the plot. Universal gave Lugosi fifth billing in Ghost of Frankenstein, but his second outing as Ygor is a hefty role, and he steals the show. At Monogram, Lugosi starred in movies of dreadful quality and hard-to-swallow plots, but he made the most of his material. In Bowery at Midnight he is college professor by night, criminal mastermind by night. He abducts young brides in The Corpse Vanishes to sustain his dying wife; and seeks revenge on those who crossed him in Black Dragons. 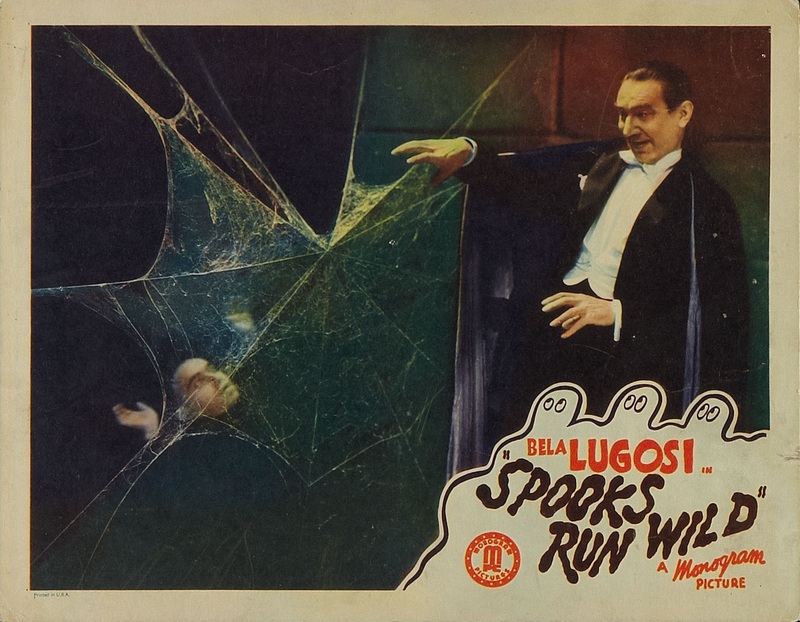 Through the schlock, Lugosi acquits himself quite well, but must have wondered what lie ahead for him in Hollywood. 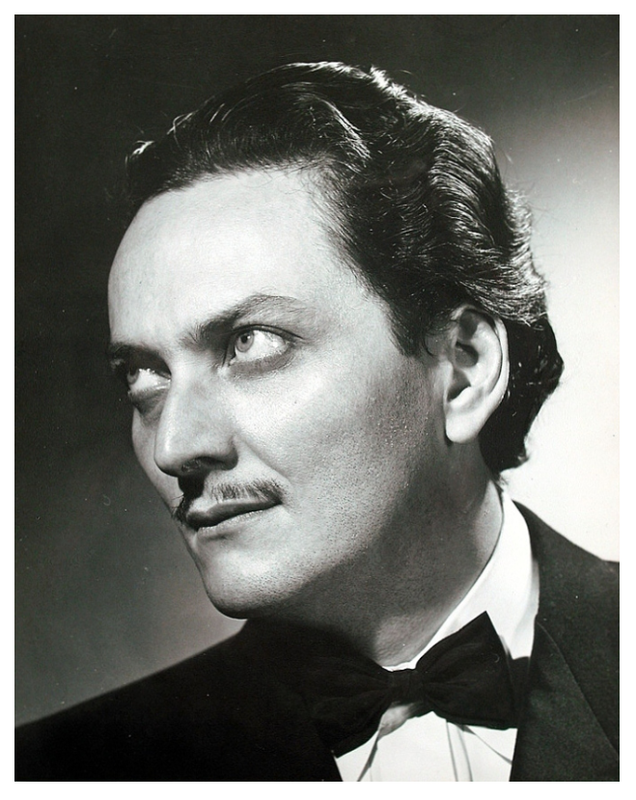 Through much of 1942, rumors abounded that he was returning to the stage, specifically in a tour of Dracula to kick off in Chicago. It never happened. As 1942 ended, Lugosi was back at Universal, playing The Monster in Frankenstein Meets The Wolf Man (released in 1943). 1942 offers few new interviews. Included below is a brief account of Lugosi’s fainting beneath the heavy Monster make-up, and a unique summary of the astrologers-to-the-stars in Hollywood. Lugosi’s was Manly P. Hall. Bela Lugosi felt as if he were back in the old familiar surroundings of Dracula Castle recently, when he was at work in Monogram’s mystery comedy. Spooks Run Wild, is now showing at the Empress theatre, but the serious aspects of the original Dracula have faded into thin air. Hollywood, March 8. – Bela Lugosi, the specialist in spine-chilling drama of the “Dr. Frankenstein” and “Dracula” brand, has a personal aversion to red-blooded entertainment, and infinitely prefers the lulling nuances of the bedtime fable. Currently re-enacting one of his horror roles as the warped maniac who directs the terroristic reign of the monster in Ghost of Frankenstein at Universal studios, Lugosi confessed that artisitically there is considerable of the “Dr. Jekyll & Mr. Hyde” in his own personality. “A travel subject or a cartoon short, well-made and free from realistic thrill stuff is frequently my choice on the film bill,” Lugosi added. 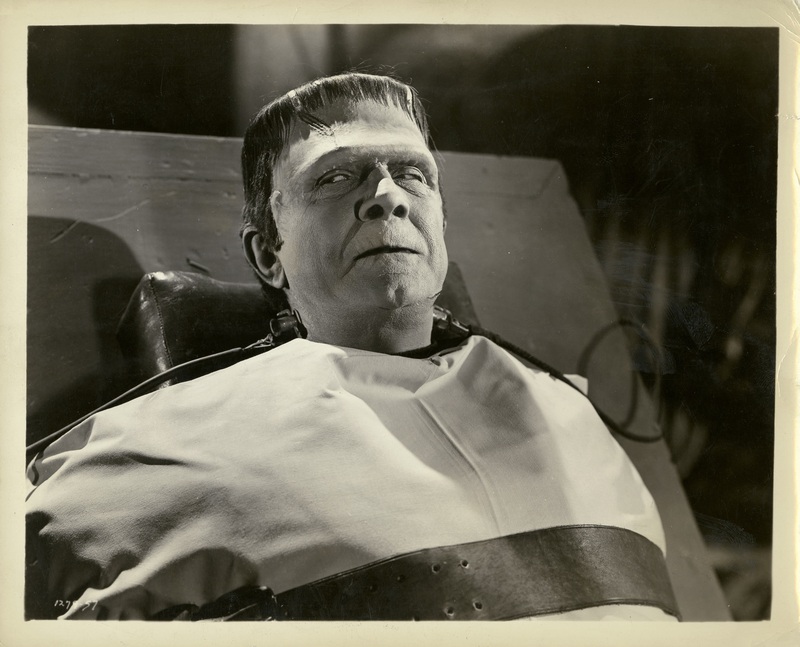 Associated with Lugosi in the cast of Ghost of Frankenstein are Lon Chaney as the monster, Sir Cedric Hardwicke, Lionel Atwill, Ralph Bellamy and Evelyn Ankers. Hollywood, Nov. 6 (INS) – In movie theaters of the country, numerous feminine fans were reported to have fainted when they saw the Frankenstein monster upon the screen. Yesterday, in Hollywood, the tables were turned. 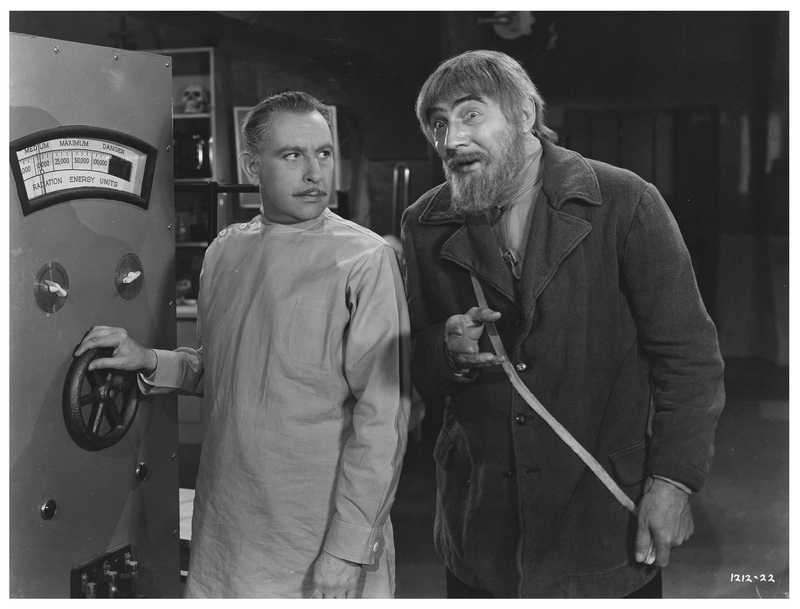 Bela Lugosi, the third actor to portray filmdom’s best known horror character, lost consciousness while strapped to a surgical table during the shooting of a scene fromFrankenstein Meets The Wolf Man. According to doctors, the star was a victim of his makeup, which takes four hours to put on, and which is painful in the wearer. After being revived, Lugosi was sent home to bed. Hollywood, Nov. 13 (UP) – The psychics and astrologers who have been prophet and counselor at fabulous fees to many of Hollywood’s most famous films stars, may be outlawed under a model ordinance drafted today at the request of the county manager’s office. From the most prosperous of all, Astrologer Norvell, to the most humble reader of tea leaves, they will be forced to look into the future themselves to learn what it holds for them, if the ordinance is adopted by municipalities within the county. Hollywood—with its temperamental and superstitious population and its big salaries—always has provided seers with well-paying customers. Norvell is the most prosperous in the film colony today. Among his devotees is Marlene Dietrich, who consults him regularly about her career and private life. Mary Pickford helped line the pocketbook of the late Cheiro, who died in 1936, leaving a large fortune. She became one of the town’s most famous actresses and richest women and gave Cheiro part of the credit for her success. Manly P. Hall guides the destinies—under the zodiac—of Bela Lugosi, the movie monster. Once, because he was a friend of Hall, Lugosi was invited to speak at an astrologist convention in San Francisco. He declined, he said, because the stars “were not quite right” for him to travel. An actress known as Kadja plays small parts in the movies, but at parties such as Mr. Basil Rathbone gives for Hollywood society, she is the center of attention as a fortune teller. Norvell succeeded Cheiro as Hollywood’s busiest prophet. Besides giving advice to the movie stars in the privacy of his studio, he is making an appearance at a Los Angeles theater. He predicts yesterday that Hedy Lamarr would have two more husbands and that both Clark Gable and Tyrone Power will return safely from the war.